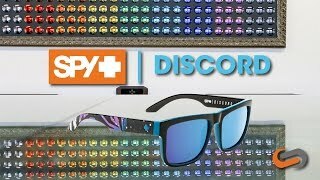 Spy Discord sunglasses are large-scale 80-style frames that are as big and bold as the era that inspired it. Made from premium Propionate, Spy is among just a few elite manufacturers that use this highly advanced frame material. Features include: custom-built frame, advanced Propionate material, durable metal hinges, prescription-ready.